Even before he kicked a ball for the New York Cosmos, club management realized it was getting a very special player in Ricardo Bocanegra. After all, the 29-year-old Bocanegra has performed in Liga MX and not many, if any, players in the National Premier Soccer League or in the Founders Cup can say that. Further proof came on the field last Friday in Bocanegra's first match with the Cosmos. 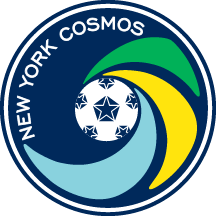 Not only did he score a beautiful goal, he ran the show in the Cosmos' midfield in a 4-0 win over Hofstra University in Hempstead, N.Y.
"Unbelievable goal," Cosmos head coach Carlos Mendes said of Bocanegra's strike from atop the penalty area in the 38th minute. "He's a high-level player, got great quality. He's still working on his fitness, too, but I think he showed today the level that he's at and what he can do. "He's going to be key for us because he can hurt you in so many ways. He's a box-to-box guy, he can come behind the ball and build up and he'll also be in the attacking third, making things happen. When you have a player like that, it changes the game." Bocanegra's quality has always been apparent. Born in Las Vegas, he grew up in Mexico after his parents moved south of the border. He was a rising star at the youth level, forging his reputation int he Atlas organization. During his five seasons with the club, Bocanegra tallied twice in 54 games. His overall play opened up doors to play with the Mexican Under-23 team, helping that squad capture the gold medal at the Pan American Games in 2011. "It was a big experience for me," Bocanegra said. "It's always special to represent your country and it's something that I'll never forget. It will always be with me. I was very happy to be a part of that team and history of that country as well." 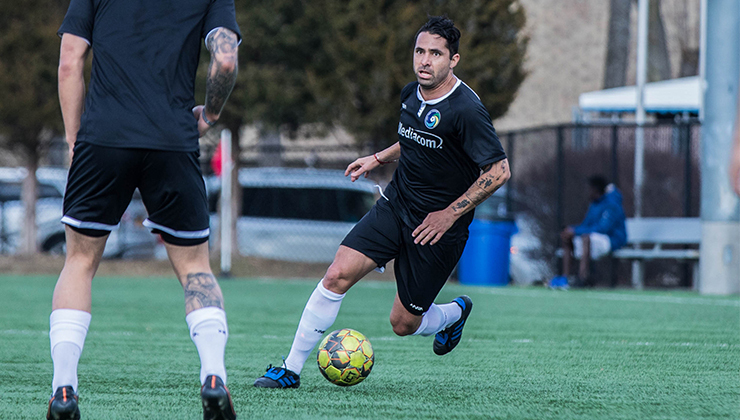 Now, Bocanegra has his eyes set on winning some more titles with the Cosmos. Joining the team was a no-brainer, given the club's history. "I am very happy that I joined a big club like the Cosmos," Bocanegra said. "That was one of the things that motivated me to come. It wasn't just any club. I am ready to show my potential and why they brought me and help the team." He will have three opportunities to earn a trophy -- in the NPSL, the Founders Cup and the Lamar Hunt U.S. Open Cup. "Obviously, I want to win every cup, every championship in the three competitions we're going to be playing in this year," he said. "That's the main goal. I want to give my best, make the team better and help the team achieve every goal. "I am very happy to be here and to be a part of this league. It's a new experience for me. I know the coach is going to make the best decision on what is best for the team."